It’s time for the worm to turn! OK enough is enough. 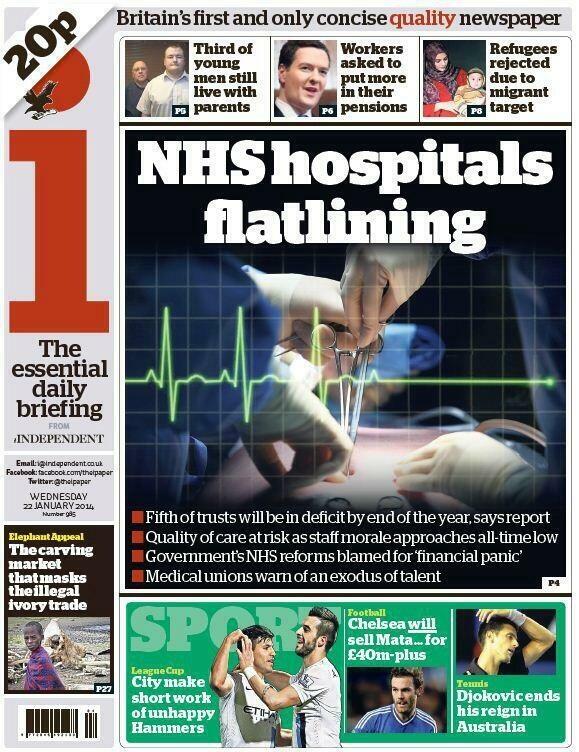 Today’s banner headline in the Independent announcing NHS Hospitals Flatlining is a step too far. Yes – there are some issues highlighted in the article but flatlining – in full arrest, needing CPR, about to die – really? We have become so used to press hyperbole that I bet most of us did not even notice the crassness of this statement. In fact over a million people will set out to work in the NHS today and the vast majority will go to fully functional departments and deliver great care to grateful patients. Today will be like most days last week or last year, a mixture of good and bad, up and down, but definitely not peri-arrest. If you have not had chance to read my analysis of the harm unjustified negative press does to patients then it may be worth you taking a minute to do that now. This is much more serious than you may at first think. We cannot sit back and let press vandalism progress unchallenged. It is time for the (admittedly oversized) NHS worm to turn. The press and media need to understand the harm they are doing when they undermine the NHS. I still believe that most of it is passive bandwagoning rather than a deliberate plot and that we should be able to turn it around. We need to get the message through though. Here are four ways we could go about doing this. 2) Spread the word about the harm negative press can do by any means at your disposal. Social media is quickest but not the only way. 3) Report unfair coverage to the Press Complaints Commission or Offcom. 4) Write directly to the editor of the paper or producer of the television programme. If we sit back and do nothing they will slowly erode our pride and confidence in the NHS. We will forget its value. Hands up – who read that ludicrous headline in the Independent and didn’t even notice the incongruity of it. Unless we fight back with resolve and determination, we will eventually get to the point of genuinely flatlining – and then will we realise that the government has already quietly signed our do not resuscitate form.